To mark International Anti-Chevron Day on May 21, the Union of People Affected by Chevron‐Texaco’s Oil Operations (Ecuador); the Mapuche Confederation of Neuquén (Argentina); the Richmond Progressive Alliance and Asian Pacific Environmental Network (California, United States); Environmental Rights Action/Friends of the Earth Nigeria and Kebetkache Women Development and Resource Centre (Nigeria); and the Communities of the Vaslui Region (Romania) issued a joint statement to condemn Chevron’s abusive and irresponsible corporate practices. The global day of protest took place just before the oil transnational’s annual shareholders meeting on May 28 in Midland, Texas (United States). 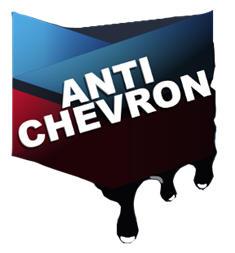 The statement, which was signed by more than 300 organizations around the world, demands that Chevron acknowledge its responsibility for all the damage it has caused to the environment and human rights.